At Hayground Camp, children and their mentors do things they love and discover new passions in a safe, structured environment. We believe kids need time, care, and mentoring as they stretch in the physical world and in their physical selves. Every day, our campers connect with their natural surroundings, get their hands in the dirt and sand and water, make things grow, and build things of which they can be proud--gardens, cities of sand and wood, tables, go-carts, and lasting friendships. Because campers are engaged every minute and feel a sense of mutual responsibility, we rarely face the challenge of discipline at our camp. And that may be the key: mutual responsibility and joy in one's own discoveries and those of one's friends. Perhaps that is why most of our campers return year after year, and why so many campers come back as counselors - they want to know how the younger ones are doing, and they want to help shape what was a formative experience in their own lives. In this way, Hayground campers become part of a lasting community, one that reaches far beyond a single summer. 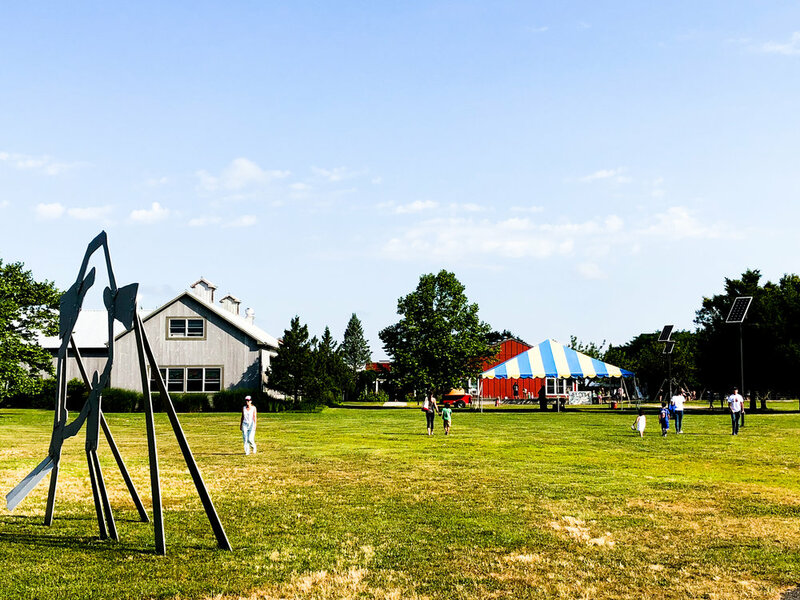 Hayground School and Camp is located on 13 acres of farmland in Bridgehampton, NY. Our campus is a vital environment for learning, exploration and play. Campers and staff enjoy the beauty beyond our borders - the ocean, the bay, the dunes. Hayground Camp was founded in 1996 as a fundraising arm for Hayground School, a small private school with a public mission. It became clear very quickly that because camp is defined by play and we all still believe that play is the most authentic learning environment, we had an opportunity to help kids develop sophisticated social-emotional intelligence by scaffolding their play. 22 years later, we play harder than anyone. We love what we do. And we believe that some of the most powerful lessons our kids and counselors have learned have happened on the four-square court or in the GaGa pit or in the Loop Lounge or in the Garden. What started out as 40 campers and a handful of counselors has become a vibrant, diverse and bustling community of young people learning to live together in harmony. We take our work seriously. We recognize that we are impacting the next generation of leaders who we hope will take a little bit of the Hayground philosophy with them out into the world.